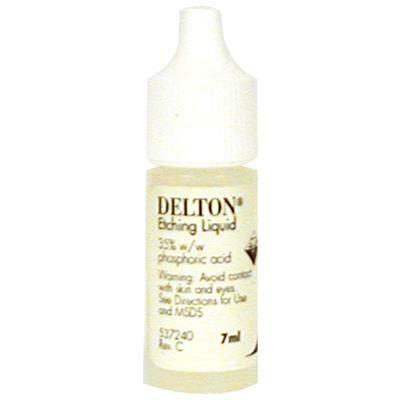 Delton® Etching Liquid is for use with Delton pit and fissure sealants. This etchant is used to remove debris and deposits from within the pits and fissures of the tooth. It roughens the tooth surface microscopically to make it more receptive to the sealant.